Welcome to Science Cartoons Plus! Harris's inimitable wit and insight will add greatly to the project you're now working on. Thousands of cartoons -- some previously published, others not seen in print before -- are available on a wide range of subjects, including science (biology, chemistry, physics, et al. ), medicine, psychology, the environment, and sociology. 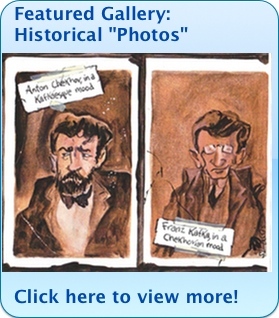 Many hundreds of these cartoons have been printed in the numerous cartoon collections S. Harris has had published in the last few years, and there are thousands of additional cartoons available on many subjects. Visit the Books page for larger collections available for purchase. 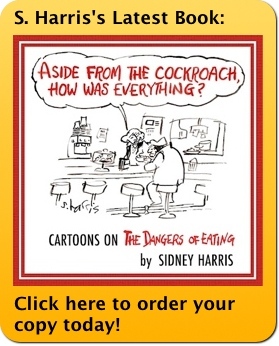 All S. Harris cartoons are available as custom prints.